Why Couldn't I Have This Kind of Restoration Motivation? I sometimes need restoration motivation. The restoration of an old house can seem like a journey without end at times. This is especially true when you are doing all of the work yourself in your spare time between working–and other time-consuming projects, like taking care of dogs and donkeys. One of the best ways I have found to motivate myself is to see what other people have accomplished with their old houses. And after I get past the initial how-the-heck-did-they-find-time-to-do-that stage, I am ready to get back at it. I subscribe to several building and home magazines, one of them being This Old House, and I sometimes receive articles emailed to me that will be in upcoming editions. I received one yesterday, and if there was ever an article that could create motivation to continue a restoration, this was it. 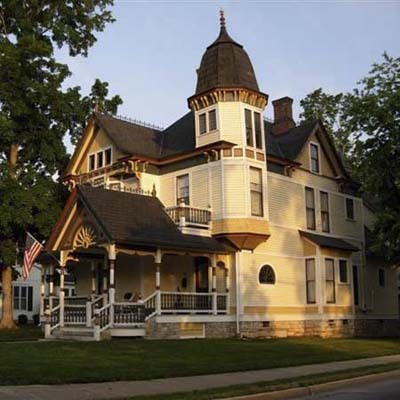 The article concerned award winning before-and-after home restoration pictures, and the picture of the Queen Anne Victorian in Bowling Green, Kentucky, was pretty impressive. I know my neighbors would love to see my “restoration without end” looking like that one day–the sooner the better! While I was trying to research the Bowling Green old house a little more, I came upon another article about old house restoration in Bowling Green. 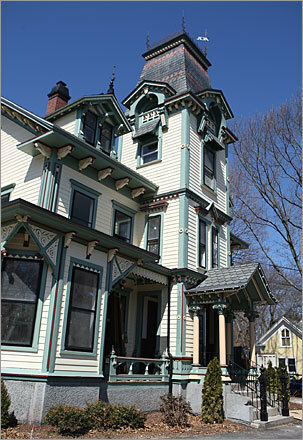 The article concerns Emily Sharp, who is carrying on her father’s love of restoring old houses and buildings. Her father was concerned with preserving the historic architecture of Bowling Green and had been working on several houses and buildings when he became ill three years ago. His daughter took over for him and began working on some of the buildings. He died two months ago, and Ms. Sharp is carrying on the family love of old houses and buildings by currently restoring one of each. I was starting to feel pretty motivated after reading these two articles, and the catalog I leafed through last night put me over the top. I can hardly wait to pick up that sander again. I don’t usually promote anything unless I have had a chance to use it, but I received Van Dykes Restorer’s catalog in the mail recently, and finally made time to look at it last night while I was eating supper and watching TV! I don’t know if I received it because of the home and woodworking magazines I subscribe to, or because of the Cabela’s catalogs I get, but evidently Cabela’s owns them. I was pleasantly surprised by the huge selection of old house hardware Van Dykes carries–like rim lock sets, which I’ve been needing for a couple of interior doors in my old house. I’ve always had good luck with Cabela’s products and customer service, but I’ll let you know what I think of Van Dykes’ hardware once I’ve ordered and received the lock sets.